Growing up with Two Languages is aimed at the many parents and professionals who feel uncertain about the best ways to help children who are in contact with more than one language and culture to gain maximum benefit from the situation. This bestselling book is for anyone - parents, teachers and language professionals alike - who need advice on how children can get the most from a bilingual situation. 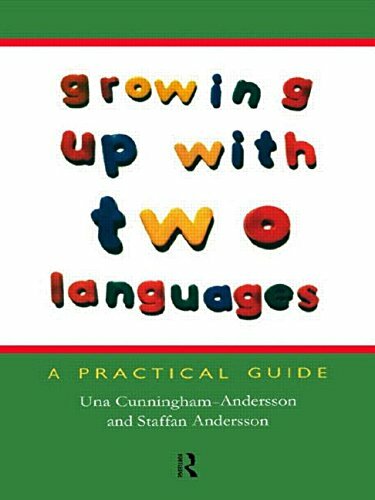 In Growing Up with Two Languages Una Cunningham-Andersson and Staffan Andersson provide a highly informative account of the stages of language development; describe and evaluate the various systems and strategies that can be adopted; and look at the problems that can occur when a child is exposed to two language and cultures. Illustrated throughout with the real life experiences of fifty families around the world, this book concludes with clear practical advice on how to support and document a child's bilingual development, and how to make the most of the Internet.